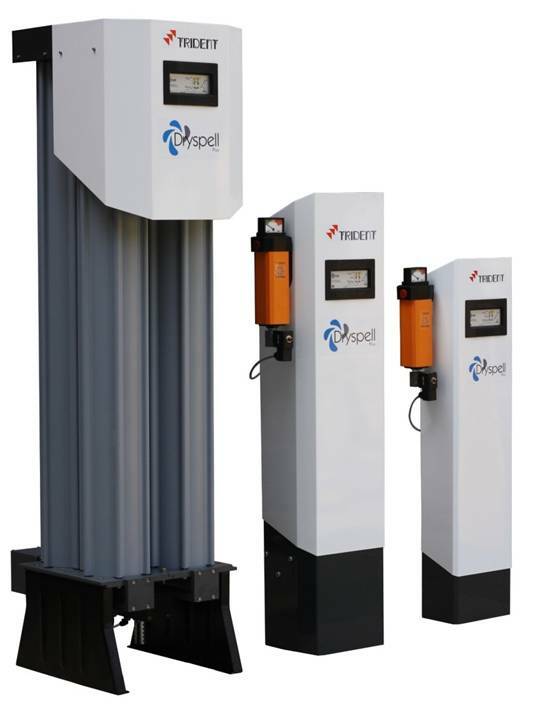 Trident has successfully launched Dryspell series dryers in Indian and overseas market. The product has proven its guaranteed warranty and reliability. The dryers are economical and maintenance free in comparable to Refrigeration dryers in its range. Designed and tested to provide 100% clean dry oil free compressed air. The dryspell is a compact dryer with valves, piping built into the manifold. The dryers are suitable for point of use and available for 10, 20, 30, 45, 60, 90 scfm. The dryer is very economical as it is manufactured in large quantities.